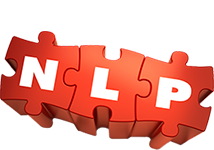 NLP (Neuro–Linguistic Programming) is the study of human excellence. It is an attitude and methodology that generates a range of cutting edge therapy techniques which lead to rapid and long lasting change. NLP was originally modelled on the exceptional skills of famous therapists such as Milton Erickson, Virginia Satir, Fritz Perls and Frank Farrelly to name but a few. This is the ultimate tailored training programme for those who are working as a therapist or alternative healthcare professional who want to take their skillset to the next level. The NLP Practitioner Training Course is a CPD training open to any therapist or healthcare professional who wants to learn some of the state-of-the-art psychological techniques to get better results, and is tailored to integrating NLP within your existing therapy model. The NLP Practitioner programme assumes you already have some of the key basic skills that are often taught on NLP training courses such as rapport and cuts straight to the chase by uniquely teaching the best NLP therapy techniques! This NLP Practitioner training programme uniquely brings together tailored one to one training with practical group training to ensure quality personal training of highest order. On completion of all of the one to one modules and NLP group modules you will be granted a licence to practice as a NLP Practitioner by the Society of NLP, the first and largest NLP certification, training validation and quality control organisation in the world. Furthermore, as a reflection of the pedigree of your training your certificate is personally signed by the co-creator of NLP Dr Richard Bandler.